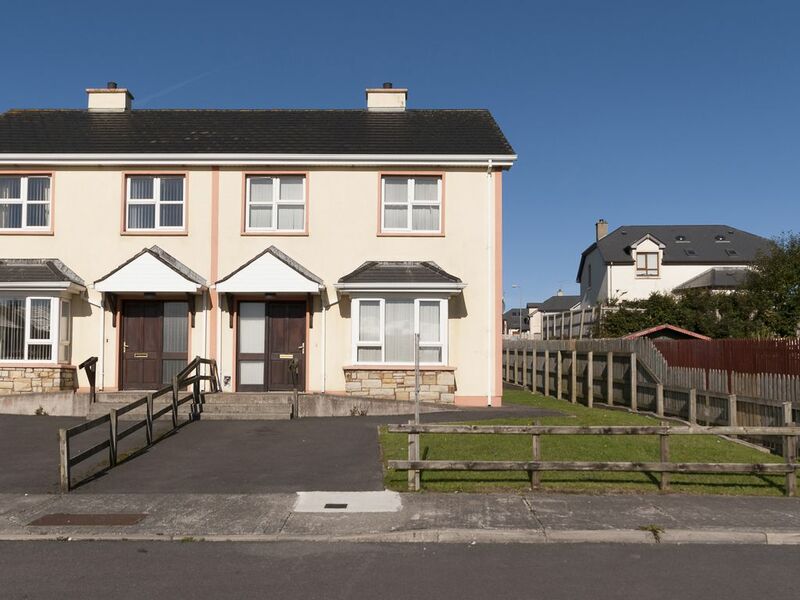 This is one of 3 fantastic homes located in the prime location of the East End of Bundoran, 'Irelands' Surfing Capital'. Beautifully finished throughout with all mod cons. Situated on the Wild Atlantic Way and only five minutes walk to Tullan Strand beach. Bundoran has something for everyone - a blue flag beach, Splash World, shops, pubs and restaurants, a choice of four golf courses within a 15 mile radius and horse riding. This property makes an excellent base for touring the breathtaking scenery of Donegal and the majestic Yeats country.Shop. Pub. Restaurant 1320 yards. Beach 880 yards. GF: lounge, kitchen/diner, w.c. FF: double with ensuite shower room, twin, single, bathroom.Oil and Electricity charged at EUR7 per day;, open fire with starter pack, linen and towels included, travel cot, high chair, TV, dvd player, fridge/freezer, microwave, dishwasher, w/machine, open plan garden, off road parking. One pet welcome. Stroll to all amenities - great touring - Superb! Prices for 2018 are based on rates from 2017. We are still awaiting confirmation of exact arrangements from the suppliers. In the unlikely event of changes to the price, advertised facilities or withdrawal of the property, your payment is fully transferrable to another Imagine Ireland property or refundable. We will contact you to confirm a 2018 booking before the end of December 2017.